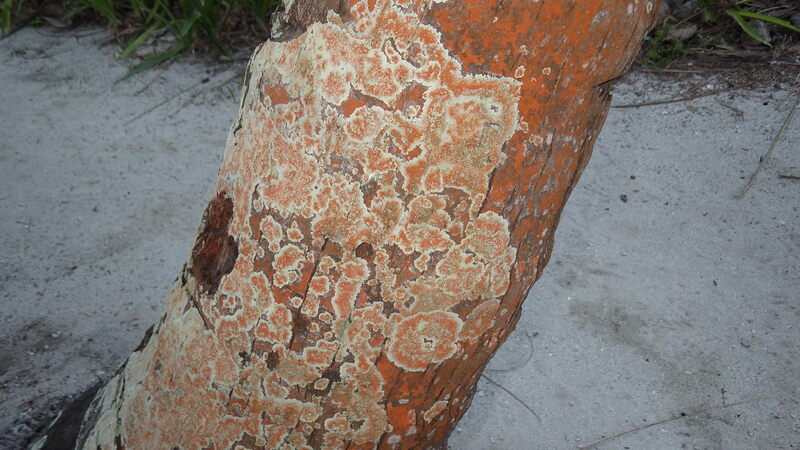 Dirinaria and Trentepohlia on a coconut tree trunk. Photo by Bob Thomas. Dirinaria applanata or D. picta infused with Trentepohlia sp. Photo by Bob Thomas. Dirinaria applanata or D. picta i with orange Trentepohlia sp. densely covering the base of a coconut tree. Photo by Bob Thomas. 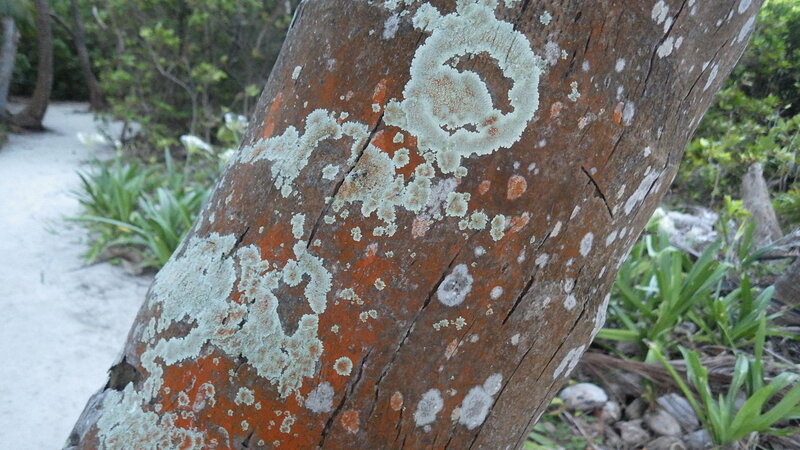 On a walk to the Red-footed Booby rookery, just where the trail turns inland, the bases of coconut trees are adorned with generally circular lichens commonly called Medallion Lichens. What makes this special is that the tree, and lichens, are overgrown with a beautifully orange alga of the genus Trentepohlia. On a recent visit (May, 2014), the alga was so dense that it seemed incorporated into the thallus of the lichen. Dr. Robert Lucking, Field Museum of Natural History, identified the photos as being either Dirinaria picta or D. applanata (need the specimens in hand to identify the species). 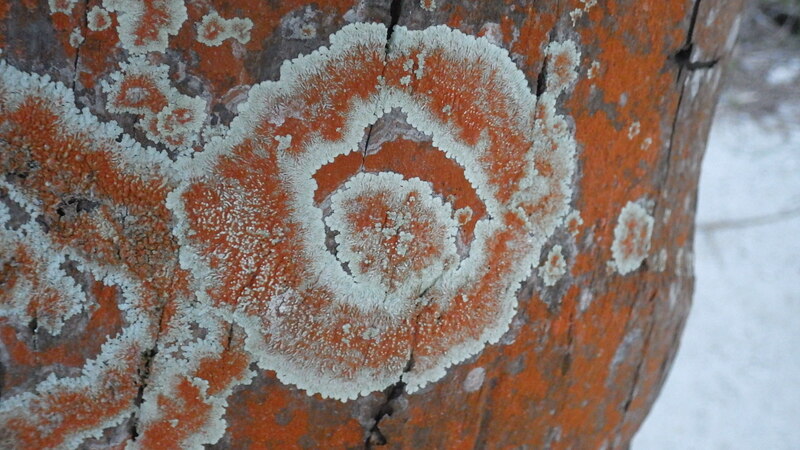 He noted that the lichen species are “typical of strongly exposed microhabitats and especially thrive on smooth bark with strong insolation.” He notes that the association of the orange alga and this genus is not understood, but is not an uncommon phenomenon. The genus is primarily pantropical and subtropical in distribtion. Whatever the biological implications of this symbiotic association, it is a brilliant, beautiful growth pattern to behold. ← The perceived terror of visiting Central America’s pit viper country.